Would you do all your banking on your mobile phone? With the decline in high street bank branches and the rise in mobile-only banks, branchless banking seems to be the way of the future. Could you be convinced to give it a try? Only a few months into 2017 comes the announcement from big high street banks that 141 more branches have shut, or will shut this year. Meanwhile, we’re witnessing the rise of branchless firms like Atom Bank, Monzo and Revolut, which can only be accessed using a smartphone app. 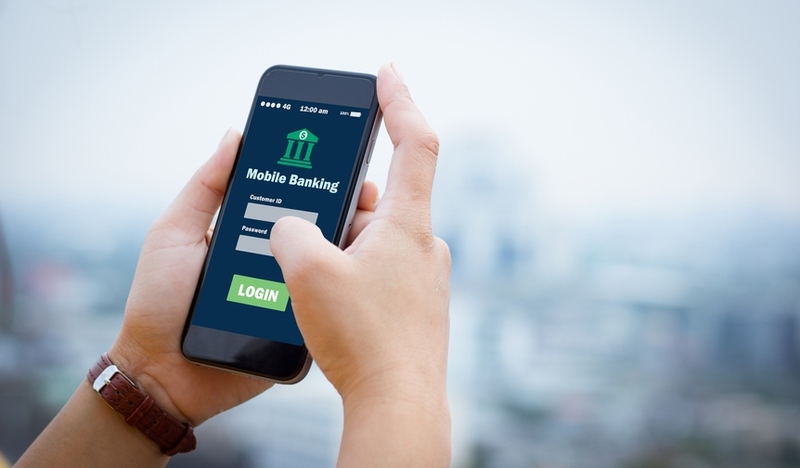 Where do you stand on the mobile banking ‘revolution’? Late last year, we ran an online survey of 9,076 Which? members – it suggested that more than half of under-40s would be happy to open a mobile-only account. However, this figure dips dramatically for those aged 40 and over. Earlier this year, Atom Bank launched a range of highly competitive savings accounts in an attempt to lure customers. The move suggested that better savings rates could prove to be a key advantage of branchless banking. However, the resulting rush of desperate savers reportedly caused its smartphone app to crash. At times like these, the drawbacks of having no in-branch customer service becomes painfully obvious. Although many savers could be happy to sacrifice face-to-face service for better interest rates, this error reportedly meant that some couldn’t even apply for them. Would you give mobile banking a try? Previous Which? research revealed that the major banks closed over 1,000 branches between January 2015 and January 2017. Yet, the latest branch closure figures suggest that financial firms are continuing to push their customers towards mobile or online banking. What would it take for you to get on board with mobile banking? Could you ever be comfortable completing financial transactions through your smartphone? Do you already use mobile-only banking and, if so, what’s your experience of it like so far? Not in the years left I have , never going to happen , this is all part of removing fiat money from the public and giving your government and ultimately International Banking , namely the IMF/ WB ECB and all the others to control you , as a certain banker once said let whoever run the country as long as I own the money I really run it. No this is your fully propagandized/rammed down your throat/ this is “good for you ” / be with it/ –Globalisation which I thought was stopped by the change in the US administration but the “Donald ” isnt getting it his way he has been forced to employ “Clinton friendly ” government administrators whose policy this is . Its being presented as a young couple hand in hand walking towards a beautiful shining sun while in reality it ends up a large trapdoor of -lets get into debt-its good for you , let “US” control you – We will take care of you -except of coarse for the poor who will get poorer left out of society the “unterklasse ” the shadows you walk by quicker because you dont want to acknowledge them and it upsets your sensibilities –so YES -it will be a “roaring ” success (for some ). I take it that’s a NO from Duncan and it’s one from me as well. Since I don’t even have a mobile phone at the moment – and I am not missing it – it’s not actually an option. I do, however, bank on-line from time to time and prefer that to queuing up in a branch. But recently I had a number of things to sort out and was glad I could just pop into the branch and receive comprehensive and competent attention. Not for me either. And with the news that Chinese hackers have managed to defeat even two-step authentication on Androids it doesn’t look a good move. The posting of this article is timely given the latest major hack on mobile phone transactions currently being illustrated in China where phoney mobile masts are used to intercept and relay messages. If your phone has been infected – and this can occur before delivery to you of your new phone, or by your own action, or a message from a friend -then your banking could be seriously endangered. ” the Swearing Trojan has the capability to steal bank credentials and other sensitive information from victim Android devices and to bypass two-factor authentication by replacing a user’s legit SMS app with a malicious version that intercepts incoming SMS messages. Mobile banking I am afraid is a convenient but ultimately dangerous concept. The banks in their drive to make money are also introducing the 1 day clearing and I suspect this will – surprise surprise also be flawed – at this stage the banks will demand abolition of the cheques – or more to the point simply stop processing them. The wishes of the people and Parliament will be irrelevant. As one who both studied auditing and worked as a banker I can tell you one of the ways to prevent fraud is to build in delays and checks . There are costs attached to any system. The immediate one for the Banks is to get everything electronic as that is cheaper for them. As we know from the lending debacle in 2008 Banks are now working in the very short-term with executive bonuses to be considered. As the Banks are unable and unwilling to think of adequate security other than the latest promised secure system then the Government is not much better. The Consumers Association, publishers of Which?, need to consider that in fact they need to do an in depth look from the consumer side of the fence as to the what-if scenarios that one can foresee and how customers will be affected. Reiterating what Banks put out and pretending everything is rosy and secure is doing subscribers no good whatsoever. It is almost as though all those Wikileaks about cracking phones and systems does not indicate anything at all and what the NSA can do so can crooks. The story that two US multi-nationals were conned out of $100m over 2 years also shows even without hacking the systems have insufficient drag to allow humans the time to think and consider what is happening. If we are to be forced towards an electronics only system then the safeguards for the elderly, infirm and incapable, the recovery method were Banks go off-line, and many other aspects need to be sorted NOW so we can be slightly reassured that policies are not being made on the hoof and all with a view to the profit margins. We also need to consider that we need a parallel system – cash and cheques – which in the event of a major attack on the clearing system or the networks allows people to continue to buy food etc. I use cash a lot because it is a demonstration of its utility and simplicity and aids budgeting. I do fear an entirely card/electronic system that is inherently vulnerable to outages or manipulation. The one-day cheque clearing will involve a photographic image of the cheque being transmitted to the drawer’s branch for verification, possibly even the customer ‘posting’ the cheque to their account by sending a picture of it to their bank branch. And what happens to the original? Could it be presented again? I see arguments looming. You have to laugh otherwise you have to cry. A specialist body screws up for billions and we expect imperfect non-technical humans to master systems and then fine them for going overdrawn. And of course all this interaction based possibly on a single mobile which if lost or damaged presumably is fairly disastrous for the owner. I prefer to do on-line banking via a proper PC, but I have sometimes used mobile phones to access my bank accounts. Some of the accounts and features I use require both the pc and the mobile phone to be present, e.g. where security codes are sent via sms messages to my phone and are then typed into the pc. Hence, I wouldn’t want to do the majority of activities by only using my mobile phone, because that would never be as secure as any system that requires me to be in possession of, and communicating via, both my pc and my phone. That was an inspired post further back Patrick Taylor and the answer is– ask HMG if they will let their Government Secure Intranet be used for banking by UK citizens —and wait years for an “okay “. Your right of coarse this is one area I know a lot about and the more snooping carried out ,the more back-doors, the more back-doors the more high power hackers that gain entry , the public just dont have 100 % security on the Web. Think Windows 10 and back-doors. I only do online banking and have not been in a branch or used cheques etc for years. I freely switch from pc to phone to tablet using browsers and apps. Whenever possible i use credit cards and ideally contactless payments on my phone. I have weekly emails to track transactions and alefts if balances go over/under set limits. Everything is set with direct debits or standing orders, but for ad hoc payments I’ll crack open their app to do it, even to setup the payee. I cannot imagine banking without this freedom. There are various protections in place should anything go wrong, so my liability is trivial. My only consideration is to turn on VPN if I am on a public wifi, or wait until I get back to 4g or home. And this is indeed the ideal free and easy banking as advertised. Whilst everything works it is a dream for the technologically capable. My question is what happens in various scenarios and how easy is it to get matters sorted if you are hacked, or someone clones your card, or pre-installs malware. It sort of reminds me of the car adverts where a young couple swan across the empty road net. A la-la land of road movement and it is the nitty-gritty, the actuality, where we need detail. I have mentioned before that apart from ” theregister” and “thehackernews” our media is fairly light on any news that does not reflect the advertised dream. Anthony H has the process down to a “T” but in my experience many people are not as organised. It must be a tribute to journalism that the Question: “Would you consider a mobile-only current account” translates to ” happy to open”. I can assure you that being happy to consider is not the same as happy to open. I would therefore suggest that the article is flawed and quite possibly the survey – which we have no link to see the quality of the questions and the full data. I have a suspicion that this would be a web-based survey to those on the Connect panel who by the very nature might be regarded as the more computer literate. It does seem a shame that Which? does not provide subscribers with the details of surveys when it is commonly acknowledged that surveys can be open to manipulation and misinterpretation and surely a consumers body should be demonstrating the transparent and open use of data. The problem you have Patrick Taylor is that probably Which doesn’t want the full details of all the major hacks on banks and other public organisations as it makes them look bad ,while the government tries to play up policies that tie in with globalization and big business . They want public confidence in subjects ,that ,behind the scenes are anything but secure . I have years of data stored having posted on security websites been on their forums, get emails from many as well as data from freedom websites that are never printed in the UK media . The technical ones are all high brow not low value websites well thought of worldwide but I know I could never post half the info here as it would be blocked so I stick to non-controversial ones that are common knowledge worldwide. We have asked before that Which? publishes the survey questions and preferably the data derived so we can see for ourselves just how sensible they are. They don’t. There have been some very dubious survey results in the past. many people see “survey” and automatically think the outcome is therefore valid. Not necessarily so. Which? hasn’t been hesitant in coming forward to scandalise banks and other organisations that have caused major public dissatisfaction over their handling of data and security, so I wouldn’t accuse it of trying to conceal survey results in order to protect the banks or to follow a government agenda [if there was one]. I just think it’s a case of not wanting outsiders to apply detailed analysis to their more populist expression of apparent conclusions. We do have a tendency in Which? Conversation to grind things exceedingly fine which probably make some of the in-house researchers and writers a little uncomfortable. 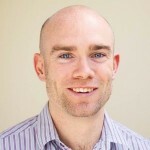 Personally I am all in favour of transparency and exposing deductions to external scrutiny, but as we all know mass surveys rely on simplicity, even to the point of being glaringly simplistic, in order to get enough people to complete them to produce a statistically significant response – riddled with flaws though it is. The interpretation and translation of the findings is pure journalism. When Which? says ”Late last year, we ran an online survey of 9,076 Which? members . . .” I would put money on that not being the truth either. I suspect they surveyed twice or thrice that number but fewer than ten thousand had nothing better to do at that moment the remainder either giving up on it or ignoring it altogether. In the world of opinion research, abstaining does not count so it is not reported. Which ties in nicely with this article on negative reports not being published or at least unlikely to be published. I had thought I posted it to Conversations previously but it seems to have failed to appear. One can imagine that peddlers of cranberry juice place more cash with the media than researchers so it would seem logical for the myth to continue. It is surely consumer bodies like Which? who should assist in educating the public that the claims made for the juice are unproven. On a more practical note the reputation of a consumer body that relies on dubious surveys for red-top headlines is surely going to undermine the more well-thought out and useful work. I may be more sensitive than the general public to survey opaqueness but IMO the average subscriber is more intelligent than the general public. All very well until something goes wrong, then you are into a nightmare labyrinth of anonymous undocumented failure to take responsibility. Quite apart from the elephant in the room: FRAUD. Lest anyone not realise, this is an INDUSTRY. I hope his calls go unanswered Thomas , as witnessed by the NSA malware code being obtained by hackers and causing havoc all round the world . I have been saying its the most stupidest attempt for total snooping on the British public by removing an ISP,s encryption , its obvious HMG doesn’t give a hoot for security on your computer by forcing back-doors as per Windows 10 . The Snoopers Charter made the UK the most spied on country in the world and now this ALL your computer security made NO effect ! They will then have no moral right to lecture ANY computer user on internet safety and would probably mean UK internet users were classed a-a DANGER to the world and get blocked from whole countries just so those guys in jeans and sweaters sitting at screens looking at your computer use can obtain the tiniest bit of info from you – as will hackers inc. 5 minutes later . Pure Madness !! I just opened an account with Revolut to take advantage of their fantastic foreign exchange rates. They were happy to take my money, but then locked my account “for security reasons”. I followed their instructions in the app but it repeatedly failed (with irrelevant error messages). So on to instant messaging help (the only type available). I explained the problem to their robot who responded with something useless and asked if I’d like to visit their website’s FAQ or contact a human. I’d already been through FAQ so obviously chose the human. 1.5 hours later there was a response but by that time I was elsewhere. Tried again today. 17 minutes wait for a human response “let me get familiar with your case”. 13 minutes later “please take 4 photos as follows … for security”. No explanation of how to do this or that you need to go into Android Settings Apps Revolut Permissions and allow Revolut to access your camera. Took the photos. Now waiting again…40 minutes and counting. I presume that these photos will permit Revolut to remove the block on my account. No way to access your account via the web. App only. As Steve points out there are hitches with this service read : https://www.cl.cam.ac.uk/~mjcg/Revolut/ Which -Sept-2015 is mentioned. TP likes it but there are plenty of people on the web having big problems getting it to work right. HSBC have just announced they going to be launching an app which promotes “open banking”. The idea is that you can look at any of your bank accounts, even if they’re with different banks, all on the same app. What do you think of that? One of my banks has informed me. If I give permission it will allow other institutions to access my bank account data. Ostensibly, one reason for this is to allow other financial institutions to look at what I do and offer me more attractive deals. A requirement of the CMA reforms apparently. For those unable or unwilling to make the decisions necessary, this might be useful. However, my cynical view is that the more people who have access to my data, the more likely is the possibility of it being abused, and for me to be nannied into appropriate decisions. I’d rather keep control of my affairs and make my own decisions – right or wrong. Just as I do with energy bills. “If you make a payment by mistake or to the wrong person and we are unable to get the money back, you can request the relevant information we have regarding the transaction to help you to reclaim payment of the funds. For legal reasons we are obliged to provide this information on receipt of a written request, except where the law prevents us from doing so”. Only possible and accessible to online customers of course. The paperwork would become overwhelming otherwise. Isn’t life complicated enough without adding to it? On the other hand, we do draw cash from other banks ATMs I suppose……………….. Thanks for that Alex, keep the information coming. The more we are able to process as bank customers and consumers the better. You do remember HSBC was hit by by hackers in January -2016 ?? If you want to go back to -2012 HSBC + others were hacked even with their “secure ” types of anti-virus apps .straight off the -This is Money website , not even one of the hacker information websites I get info from . Don’t think Cloud Storage is impenetrable-it isn’t. Then we come to America where all this originates -Global Banking , the cover-ups are shocking but thank goodness for whistle-blowers. Perhaps Which? could summarise what “Open banking” actually entails and what the benefits and risks are. What a great idea! I have had a look at our website but it doesn’t look like we have covered it just yet. I will do a bit more inquiring for you and see if I can get any more information. Is there anything specific you’d like to know? @awhittle , thanks Alex 🙂 My immediate conservative reaction to any scheme that requires me to share my information – particularly financial – with 3rd parties is to use great caution, as in don’t do it!S I would like to know exactly what “open banking” does, how it might benefit people, and what security issues might be involved. At the moment my online banking works very well under my control; why should I change? That’s the sort of thing I’d like to know; I wonder what others would like? I admit I have not delved into this in any detail myself, so I’m being a bit lazy. But others may like the same information. I’ve just looked at my Oct Which? mag and there is an article on “Future money: your bank is changing” with a few paragraphs on Open banking. This largely says something about what it might do, as in my banks’s letter, and says “Banks will be forced to let customers easily and securely share their own current account data with third-parties” and “Open banking should give you greater control over your money”. But nowhere does it explain why I might want to, and benefit, from handing secure details to a third-party. I deposit money in my current account and tell my bank when to do something with it – whether direct debit, bank transfer, cheque payment, cash withdrawal for example. As far as I am concerned, other than not having a box full of cash under the bed, I have control over my money. I have what I would regard as control of my money. I don’t understand how giving 3rd parties access gives me “greater control”. I’ve clearly missed something about open banking that everyone else knows about. Perhaps someone could explain? Malcolm-This sounds like the article in Business Tech. While investigating South African banks who came out with exactly the same spiel of “protecting your confidentiality ” and then customers after transactions got third party emails by the dozen. All the banks “swore blind ” that they didn’t divulge customers data and blamed it on “dodgy ” employees . BUT if the banks have dealings with third parties they send a contract which the customers signs as regards the transaction and that includes consent to notify third parties .-in SMALL print .. Of course that’s all supposing the bank is up to scratch with the latest data spying techniques which are now vast. On another banking website-quote-However they can share your details with their international divisions like a savings account customer ciould be contacted for a line of credit and so on .done so that they can make “more business out of you ” USA website- Barclays to begin selling customer information to third parties : http://libertynews.com/2013/06/barclays-to-begin-selling-customer-information-to-third-party/ –I have more. The forthcoming General Data Protection Regulation (GDPR) will, I hope, ensure that organisations behave responsibly regarding what they do with our data. I would like to see an end to requiring people to opt-out or un-tick boxes to avoid data sharing and receiving marketing information. I have little confidence in anyone totally protecting our data; there are so many clever people out there wanting to get their hands on it, apart from the incompetence and negligence among those “looking after” it. But the question I asked is, what real benefits would there be to me, and how does it give me better control of my money than I already have? In other words, what is the point? On that first point I agree completely. Most companies leak like sieves, and a lot of that leaking stems from simple incompetence on the part of the users. Laptops left on taxis, buses, trains – and that’s just the MOD. Until the UK leaves the EU presumably, since at that point the banana republic that little england will become need no longer be subject to the GDR. Or indeed benefit from EU roaming agreements for that matter. I am sure some dont believe me so I found a simple explanation website -NYT . When the “Times ” is mentioned its the NYT. : http://www.pymnts.com/news/2015/how-hundred-banks-got-hacked-and-lost-900-million/ . The company that found out was Kaspersky -a Russian malware protection company . As usually with whistleblowers- now -2017 Congress is being pushed to ban Kaspesrkey in the USA. I do .of course have a mountain of other info on this subject. I used a German browser+search engine that seems to go where others come up with -error 404 . Sorry about that I will try to get it via a “normal ” browser using another URL Alex. Using Yandex I can get to http://www.pymnts.com but not that article . Got it using MIdori browser under the same URL /also got it using Firefox by inputting -100 banks hacked in the USA -try that. Try adding an “s” to http Alex. I have not carried out any financial transactions by phone or even had a look at my bank accounts. I feel safer at home using online banking. I’m not against change and am now a frequent user of a contactless credit card and have had no problems. I do keep my receipts (sometimes it is necessary to ask for one) and am confident that there have been no unexpected payments. The banks have helped us a great deal over the years but I wish they would deal with established problems such as misdirected payments before devoting their energies to introducing new technology. You do all know about Equifax where a data breach exposed 143 Million Social Security Numbers in the USA . Richard Smith , investigations on Capitol Hill are coming up on FOUR Committees, has resigned as CEO of big-three credit bureau -you know the places that check your credit rating for big business . You still wonder why I think all our data in the USA will be hacked-eventually.